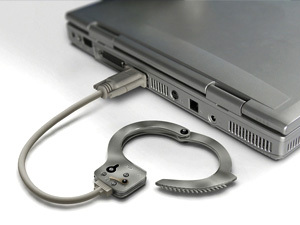 If you work in IT or accounting, your services could be used to bust the next criminal. Al’s got the scoop on how. If, like the rest of the world, you’ve been listening to Serial or watching Making a Murderer, you might fancy yourself as experienced enough to solve pretty much every crime. Well, now might be your chance to do it. Sort of. Theresa May has revealed plans to extend the reach of volunteer roles to include those with vital digital skills to support in digital investigations. IT and accountancy professionals are in real demand, and are being invited to work alongside the police to investigate cyber and financial crime. A pilot scheme has already been launched in parts of the UK which will test the effectiveness of these volunteers, and could lead to the UK’s police force regularly accepting IT professionals to help out with investigations of cyber-crime. As cyber-crime becomes more prevalent, it’s a chance to close the gap, and provide direct communication between the police and professionals who understand the latest developments in their industry. Would you like to be the next Poirot, Miss Marple, or Sherlock? Don’t wait to find out if these new volunteers are effective. UKFast’s security division, Secarma is an enhanced level of security to defend your critical networks and data from an attack ever happening.